LG Electronics Inc. is a global leader and technology innovator in consumer electronics, mobile communications and home appliances. 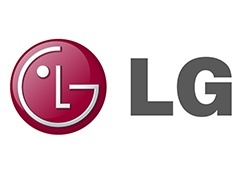 LG Electronics, Inc is a subsidiary of the LG Group and is headquartered in Seoul, South Korea. LG Electronics was founded in 1958 (as GoldStar) and now employs more than 84,000 people working in 112 operations, including 81 subsidiaries around the world, with global sales of $55.5 billion in 2009. LG Electronics consists of four business units – Home Entertainment, Mobile communications, Home Appliance, Air Conditioning and Energy Solutions. LG then manufactures several brands of solar modules using each of these technologies, including LG NeON® R, LG NeON® 2, LG NeON® 2 ACe, and NeON® 2 Black using the n-type PV cells, and LG Mono X®, and LG Mono X® Plus using the p-type PV cells. Typically, LG’s NeON® line of modules are rated to a higher efficiency than their X® line. LG stands by its products with sterling warranty policies. The linear performance warranty guarantees at least 83.6% power output by the end of the 25th year. All of their solar modules also come with a full 12-year product guarantee. All modules produced by LG are equipped with high-performance solar cells from its own, strictly monitored production facilities. LG is a global leader in PV solar module technology, but is a LG branded product right for you?